C-law 's-Hertogenbosch office is moving! / News / C-law 's-Hertogenbosch office is moving! 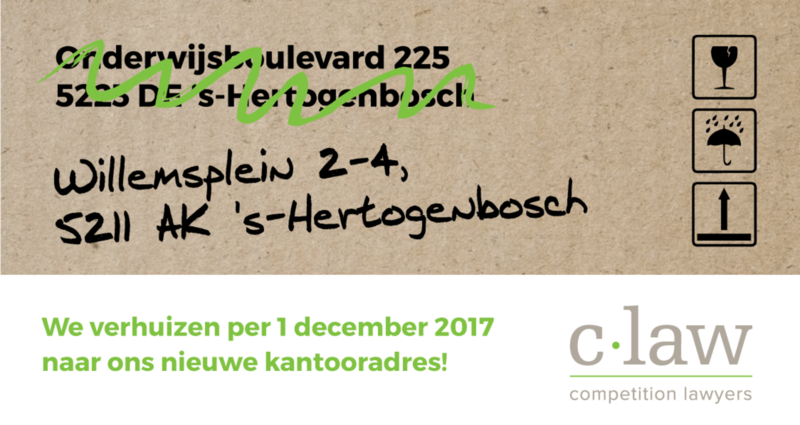 As of December 1 2017, C-law Competition Lawyers will move to a new Office in the city centre of ’s-Hertogenbosch, close to the ‘Paleiskwartier’-area. We will have our office in the completely renovated ‘Essent’-building located at the Willemsplein, within short walking distance from the central train station and with own parking facilities. We are looking forward to welcome you at our new premises!